Services to the Jewish Community | Jewish Federation of Greater Indianapolis, Inc.
We believe that each and every person’s life experience is unique, and so we emphasize a person-centered approach, catering our programs and services to meet the needs of our local Jewish community members. Need some help? Have some questions about community resources? Contact our community social workers for some guidance. Support and assistance are provided to members of the community under the age of 65. Contact Julie Sondhelm at 317-536-1476 or jsondhelm@jfgi.org with any questions and for more information. At JFS, we have social workers who will meet privately with individuals to help establish a plan for recovery in confidentiality. We can provide information on critical resources and provide support as an adjunct to treatment; through our partnership with JACS and facilitator Rabbi Aaron Spiegel, we are able to provide a monthly support group for Jewish individuals struggling with addiction and their families. At JFS, we show there is no shame in reaching out for help. There is no need for the members of our community to suffer in silence. You are not alone. We recently had the privilege of interviewing Rabbi Aaron Spiegel about the importance of this support group. Read more on our blog. Support services provide help to the survivors and their caregiver so they get the most out of life. The services assist individuals with counseling, in-home care, case management, social gatherings and more. Please visit the Kavod section of our website for more information. JFS provides supportive services for persons of all age ranges with special needs and physical disabilities. Please visit the Kochav section of our website for more information. Through the initiatives of the NEXTGen department, we assist families in need throughout the year. Aging services are provided by licensed social workers who offer consultation, referrals, counseling and supportive planning for independent living. Please visit the Senior Services section of our website for more information. In addition to case-management, crisis-counseling and referral services offered by our community social workers to assist individuals in economic crisis, you may be eligible for immediate emergency assistance (limited funds available). If you have a passion to help others or would like to be involved in any of these programs, please contact us. If you have a specific skill and would like to donate some time to help, please let us know. Examples: donated dental services, donated legal assistance, home organizing, counseling, GED preparation, computer training, or providing transportation. Popsie's Pantry is funded with the generous support of Livia and Steve Russell in honor of Anton "Popsie" Berkovitz and Etta Berkovitz. With the support and assistance of committed community volunteers we are able to serve those who do not have the resources to feed themselves and their families. 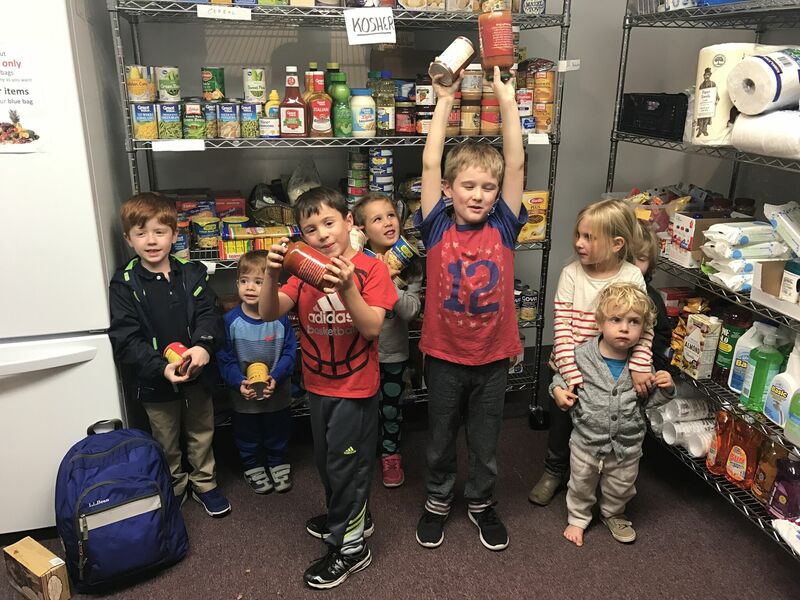 Popsie's Pantry provides dry and canned goods and fresh produce, along with household items and toiletries, to those who qualify or require kosher food. We are also the only kosher food pantry in the city. We accept and appreciate donations at all times during regular office hours. Make a donation to the Pantry today! By appointment only. Contact Julie Sondhelm to make an appointment. Meets once monthly to offer support to those struggling with addictions. This program assists with resume development, referrals for clothing for job search, and job search planning. There are also limited emergency funds for those in need of immediate assistance. Assists Jewish families during the holiday season. Assists Jewish families with food for Passover.